What Impact Will the Return of the NFL’s Rams Have on L.A. Real Estate? Mathematician Edward Lorenz might have picked the wrong species when he named his famous theory. The “butterfly effect” could now be labeled the “Rams effect”—and real estate investors are getting a live demonstration in Los Angeles. It all comes down to a simple equation: How will L.A. real estate be affected by the high-flying, vastly publicized, decades-in-the making return of the NFL’s Rams to the city? The team has its long-awaited home opener in the Los Angeles Memorial Coliseum on Sept. 18 against the Seahawks. 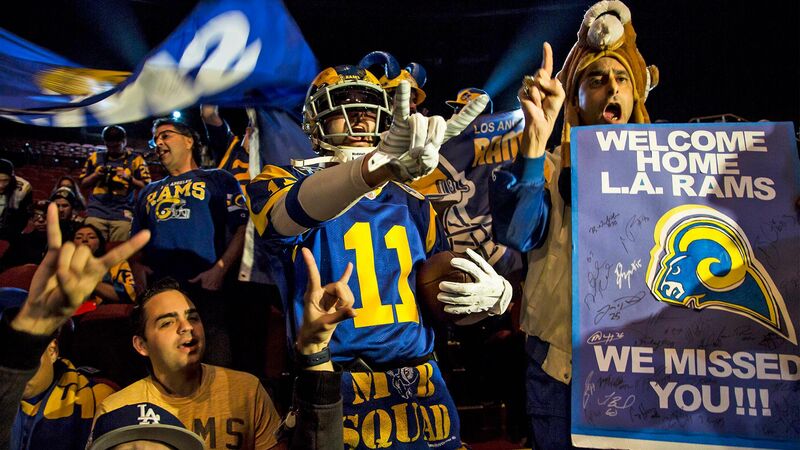 As a quick refresher, the St. Louis Rams became the Los Angeles Rams (again!) earlier this year. The franchise wasn’t born in California (Cleveland birthed the Rams in 1936), but the team spent 48 years in the City of Angels before making its way to the Midwest for a 21-season sojourn. And after 21 long and arid years without an NFL team, SoCal football fans are quite pumped. So is the market. As soon as the Rams’ return was announced, investors said prices would rocket in the area. And with more than 100 players and coaches looking for a new place to call home, agents scrambled to represent football stars on the hunt. Nine months after the announcement, homes are picked and boxes are unpacked. The team is prepping for its regular-season kickoff. But what does the relocation mean for the future of Los Angeles real estate? Calabasas has always been a playground for the young, rich, and beautiful. Most of the Kardashians own (or have owned) a home in the hillside city—as have Drake, Jennifer Lopez, and Gary Sinise (OK, fine, they’re not all young party animals). But with the Rams’ temporary practice facility freshly installed in nearby Thousand Oaks, agents and analysts have seen tremendous growth in the already-hot area. “There’s definitely been an uptick,” says Kofi Nartey, the director of Compass’ Sports and Entertainment Division. And location, location, location isn’t the only reason for the growth: The area’s party-friendly, celeb lifestyle attracts hotshot NFL players eager to embrace their new locale. Prices have improved steadily over the past year, climbing about 10% since December 2015. But delineating a Rams effect from normal appreciation is hard, especially in an already-desirable neighborhood. Nearby Thousand Oaks might be a better example: In December 2015, before the Rams announcement, a single-family home listed for a median price of $736,000. In July, the median was $824,000—an 11% improvement in a city that typically sees slow, steady growth. Houses typically spent 69 days on the market in December. Today, sellers can expect a 47-day wait. But don’t expect the surge to last. Thousand Oaks prices peaked in April and May 2016, rising to a whopping median list price of $878,000. Then, houses stayed on the market for only a month. Now real estate agents are seeing a bit of a slowdown. It seems to be moving from being a superhot market to merely hot. Continued exponential month-over-month improvement is unlikely—unless you spot shops and restaurants moving in. “There’s a huge insertion of capital and people and resources with the Rams coming to town. If it doesn’t trigger additional commerce properties in the area, it will level off a bit faster,” Nartey says. Investors looking for a long-term real estate strategy might consider Inglewood, the home of the Rams’ future stadium. The City of Champions Stadium is slated to open in 2019. “Without a question, the ‘hype’ of the football stadium has definitely brought up property value,” says Dario Svidler, a partner at Partners Trust. The small city in southwestern L.A. County isn’t known for luxury real estate. In December, buyers could score a single-family home for $388,000. And while home values are slowly climbing—the current median list price is $438,000—commercial properties are seeing the biggest increase. “I’m seeing property values climb substantially in the surrounding areas, but specifically for apartment buildings and retail,” Svidler says. Visitors need to eat, drink, and shop before the big game—and investors want to own properties to service those Rams-centric consumers. And commercial investors are willing to pay big bucks to own the best spots. Svidler recalls a recent building sale in Inglewood where, immediately after closing, the buyer received an “unsolicited offer” of 20% more than what he paid. And investors can expect to see the same returns, at least until the stadium finishes construction. “The market is going to keep climbing,” Svidler says. Inglewood, Calabasas, and Thousand Oaks aren’t the only L.A. locales expecting to see a Rams bump. 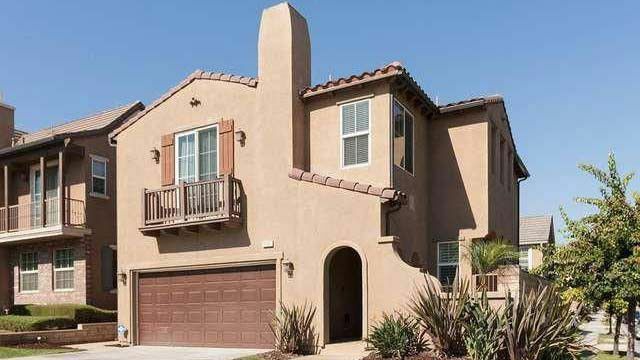 Players seeking something less Kardashian-esque might opt for a home near the water. And while the Rams held their inaugural training camp at Orange County’s UC-Irvine campus, expect the team’s future training facility to affect the local market wherever it lands. Investors might want to keep an eye on Long Beach or Westlake, both rumored locations of a proposed practice facility. Los Angeles is already a hot market. It’s difficult to conceive something could turn the temperature up even further—but the Rams just might.